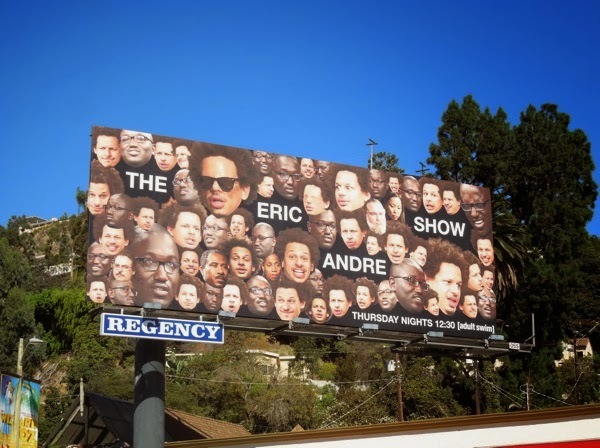 Stare at this cut-out collage billboard for the second season of The Eric Andre Show for too long and your eyes go kind of funny. 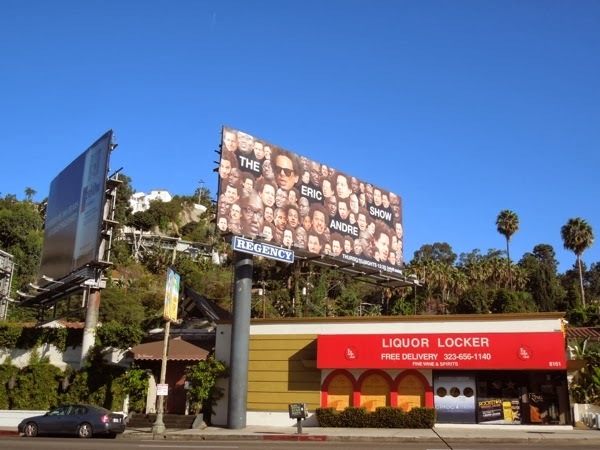 Adult Swim really does like to do things with their own distinct twist and this ad creative for the live-action comedy parody of low-budget talk shows is certainly visually jarring and different from the norm. 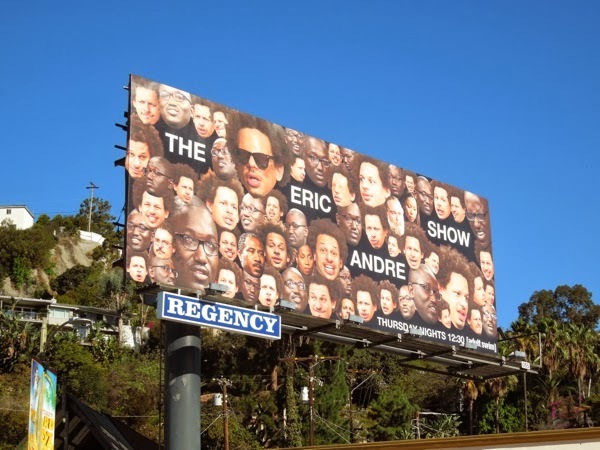 It's almost like the reverse of Where's Waldo?, but you know the answer as stand-up comedians Eric Andre and Hannibal Buress are right there with multiple facial expressions (and some friends hidden away too). 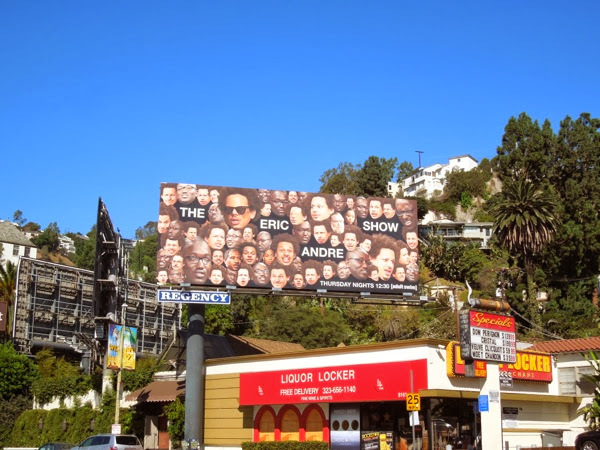 This jam-packed season two billboard was snapped along Sunset Boulevard on October 5, 2013. 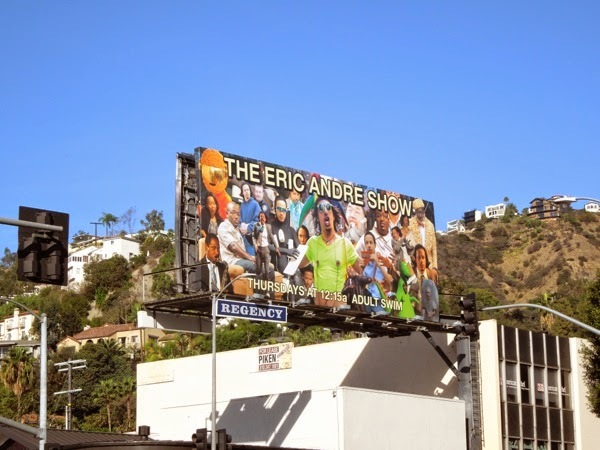 If you're a fan of the comedian and his show, be sure to also check out the equally eye-catching billboard for The Eric Andre Show's first season. 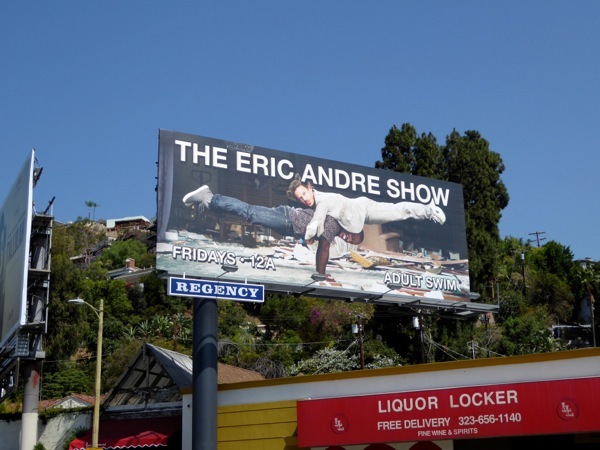 UPDATED: Here's the season three billboard for The Eric Andre Show which follows the collage style creative filled with an assortment of crazy characters, snapped at the intersection of Crescent Heights and Sunset Boulevards on November 16, 2014. 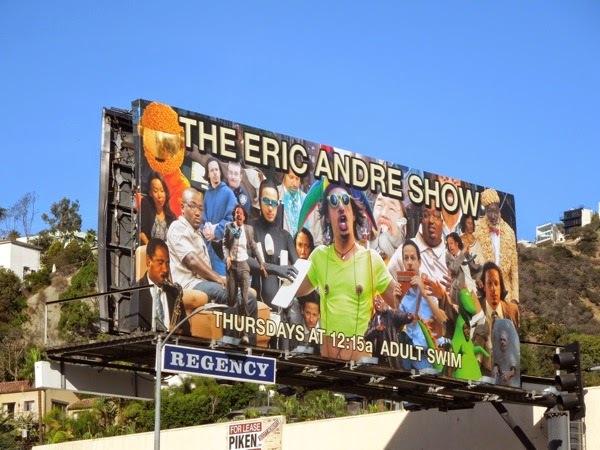 UPDATED: Eric Andre and Hannibal Buress are back in the skies and up to their old tricks to catch your attention for the fourth season of their Adult Swim show. 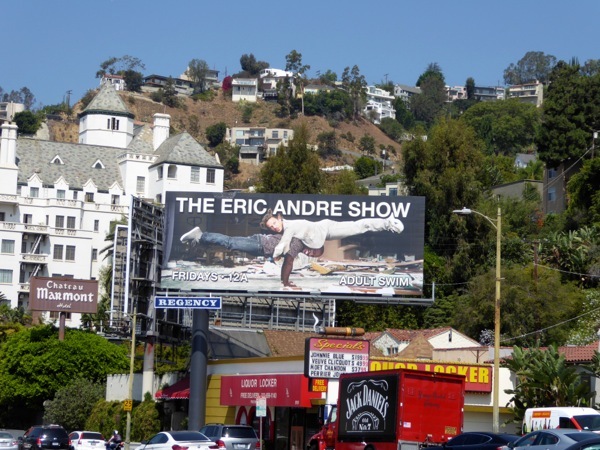 This wonderfully eye-catching season four billboard was snapped along West Hollywood's Sunset Strip on August 3, 2016.